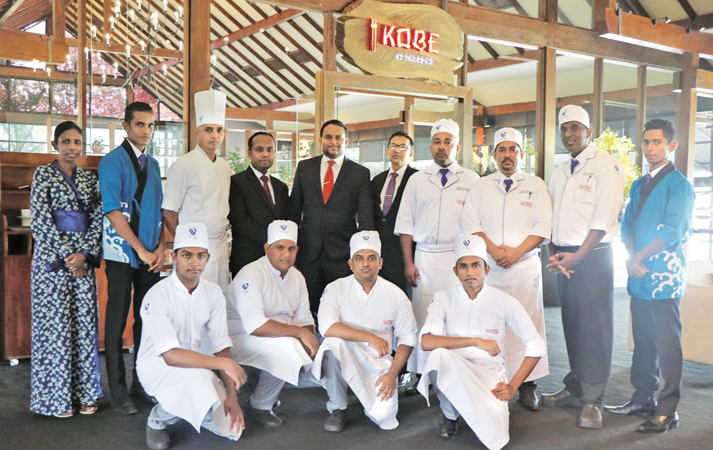 Water’s Edge opened its latest authentic Japanese Restaurant ‘KOBE’ on March 15. The restaurant will feature an extensive Japanese food and beverage menu which will cater to all Japanese food enthusiasts in Sri-Lanka. Water’s Edge is renowned for its great food and calming ambiance, KOBE is yet another venture that will further enhance this feature making it the ultimate venue to taste authentic dishes from across the globe. The name ‘KOBE’ represents the great Japanese city of ‘Kobe’ in Osaka Bay, Central Japan. The city is known for its scenic mountains and the signature marbled ‘Kobe’ beef. Water’s Edge combined the two together to bring out the very best of Japanese cuisine to Sri-Lanka through this new venture. Japanese cuisine is all about impeccable presentation, fresh ingredients and clean flavours, the restaurant will cater to these aspects and will be led by renowned chefs who are experts in Japanese cuisine with over 23 years of experience in the industry. Water’s Edge invites everyone who’s passionate about Japanese cuisine to come and savor the fresh, authentic menu at ‘Kobe’ and enjoy the gorgeous ambiance.